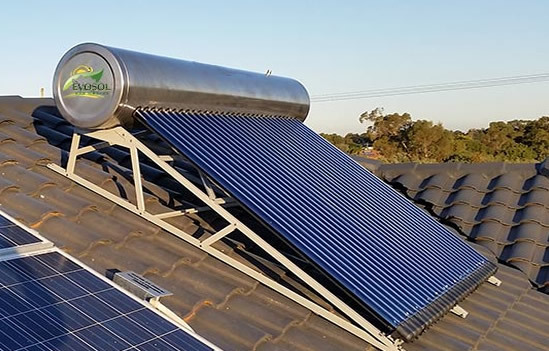 The manifold is incorporated into the tank making the solar collector and the tank all one complete unit. Uses a Thermosiphon method to circulate the water around the system and does not require a circulation pump or a computerised differential controller. 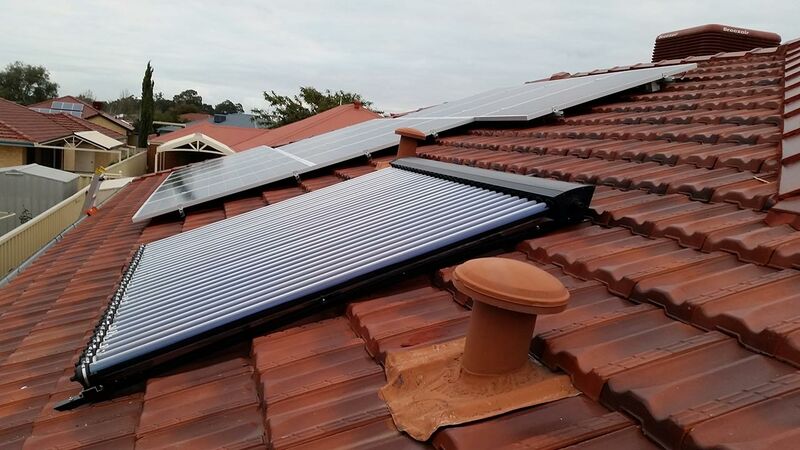 Solar collector mounted on the roof and the tank mounted conveniently on the ground. Heat booster element programmed to come on at different times of the day if required depending on weather conditions. Build in electric heater element that ensures continuous delivery of water during the cold winter months.